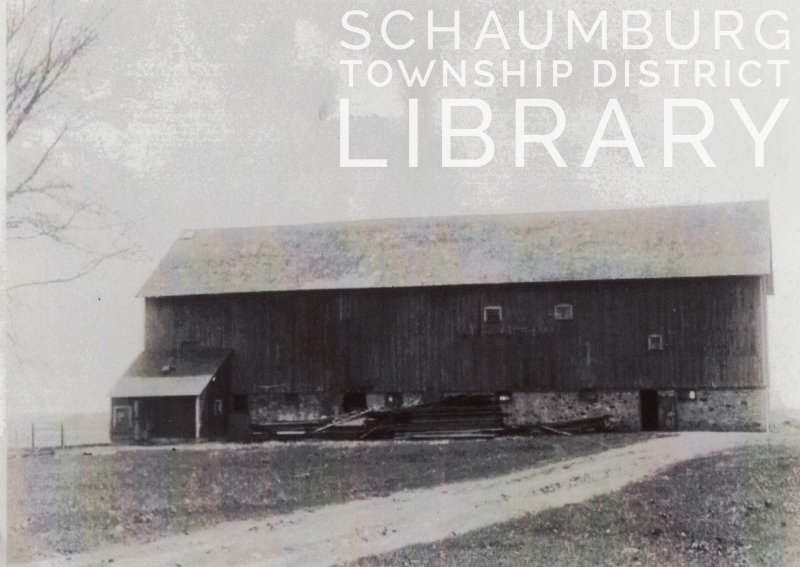 A few years after moving to Schaumburg Township, M.A. Kern learned the two farms south of his acreage on Meacham Road were for sale. Having dived into the local horse racing world, he and his brother, L.D. must have been immediately interested in the adjoining property. The Herman Fasse estate had recently sold the parcels to Mansell F. Grimes in December 1935 and March 1936. A month later, on April 23, 1936, in an advantageous transaction, Mr. Grimes sold the two farms comprising 420 acres, to L.D. and his wife, Dorothy. L.D. was born in Ann Arbor, Michigan in 1890. By World War I, he was living in Watseka, IL with his parents and brother. He was a lawyer and was employed as an assistant state’s attorney for Iroquois County and as the attorney for the city of Watseka. During the war he served as a second lieutenant in the U.S. Army. After his service, he returned to Watseka where he met his wife, Dorothy. They married in the 1920s and during that decade moved to Chicago, where he was part owner of Alliance Life Insurance with his brother. By the 1930 census they were living in Lake Shore Towers with their one-year old son, Joe. 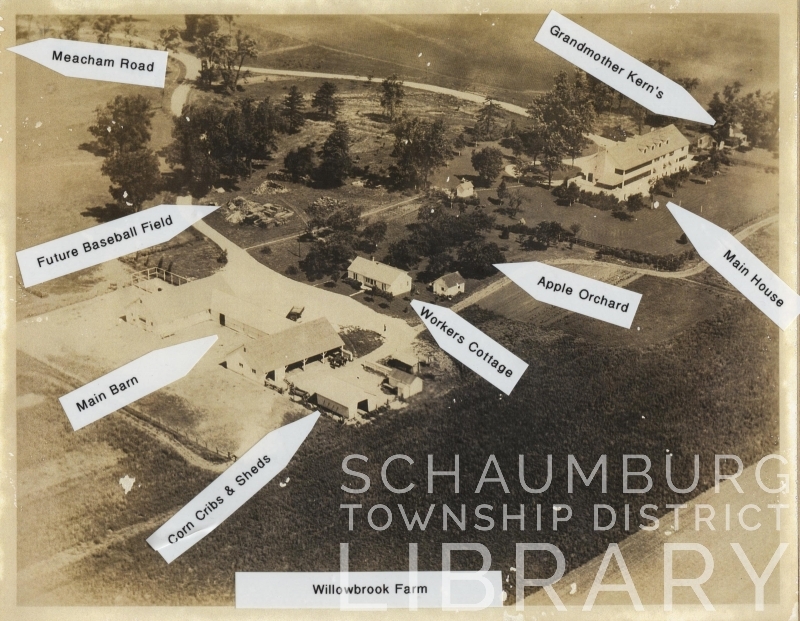 When they purchased the Schaumburg Township farms five years later, they were living in Highland Park and had three more sons, Jack, Jim and Jerry. Shortly after the purchase, L.D. and Dorothy enlisted the services of Paul Schweikher, a young, up and coming architect from Chicago, to give them some ideas about the farmhouse on their new property. This was the farm due south of M.A. Kern’s Lexington Saddle Farm, on the southeast corner of Meacham and Higgins Road. Though we are not sure how the Kerns knew Schweikher, it is the guess of their son, Jerry, that it could have been a referral from a friend or acquaintance. As the story goes, Schweikher walked through the house shown above, stepped outside and took in the immense barn that was nearby. Quite likely intrigued at the prospect, he agreed to transform the barn into a large house and garage for the Kerns. Working in tandem with Emil Sporleder, a local contractor who also built M.A. Kern’s house, they began the process of stabilizing the barn so that it could accomodate the structure of a house. This 12×12 oak beam, tapered peg apparatus was put together, separate from the barn and then moved into the barn. 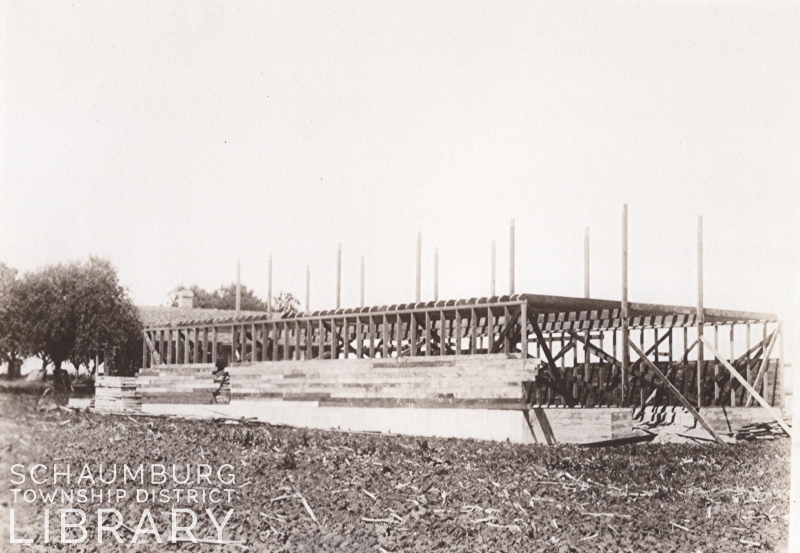 (Notice in the photo below that the structure sits on runners. Was it pulled into the barn?) Jerry Kern says his father called it the “super structure” that held the barn/house together. When finished, the house looked like the rendering at the top of this blog posting. It had a ground level which the family used as both a basement and three-car garage. (This was formerly where the Fasses used to milk their cows.) The first floor was the main living floor and consisted of the kitchen, laundry area, living room, dining room and two bedrooms, as well as a large porch on the back of the house. The second floor was the family’s personal floor with six bedrooms and another porch that was often used as a sleeping porch in the summer. The third floor had one bedroom and a storage area. There were also six bathrooms scattered throughout the house. The house was not directly visible from graveled Meacham Road because it was situated at the end of a long lane. It faced west and only certain angles could be seen from the road. According to his son, L.D. loved trees and planted many leading up to and surrounding the house, including an apple orchard in the center of the property. L.D. and Dorothy loved Schweikher’s renovation when it was completed in December 1936, and Jerry Kern described it as “probably the greatest place to grow up.” The four Kern boys had at their disposal a ball field, the orchard and a picnic area with an outdoor fireplace that was built by their father. You can see two of the three on the aerial photo of the farm that Mr. Kern provided. The Kerns named their estate Willowbrook Farm and, with the redesign of the barn, it became necessary to build a new one for the property. You can see that barn in the bottom left of the aerial photo. Between it and the big house was a small house for the farm workers that Kern also put in place. One of these workers was a handyman named Frank Kappa who was not comfortable with mechanized equipment. He accomplished all of his work with the assistance of Belgian draft horses. Jerry Kern described him as “honest and hard working.” Kappa did not drive so L.D. picked him up every Monday from his home in the central part of the township. He then stayed on the farm all week, working diligently until Friday afternoon when L.D. brought him home. Farm work was also done on the former Redeker property that the Kerns purchased. This land remained as it was and was farmed through most of the Kern’s stay by the Arthur Pierce family. They lived in the house on the property and worked both farms. Their sons, “Red” and Eugene, assisted their father. 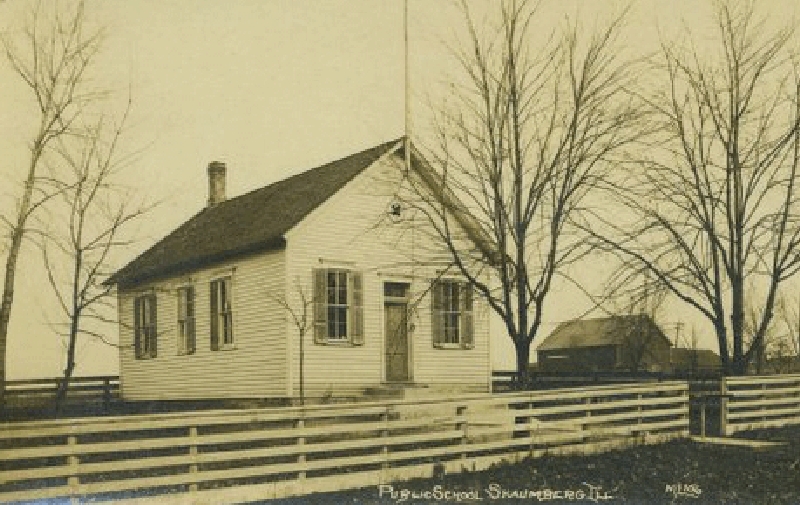 The Kerns relished their house and farm life through the war years, with the boys attending one-room schools in Schaumburg Township. Later their father drove them to Arlington Heights to attend elementary school and Arlington Heights High School. In 1949 M.A. and L.D. Kern sold Alliance Life Insurance Company to Republic National Life Insurance Company of Dallas. While M.A. stayed in the area for a few years, L.D. and Dorothy moved their family to Florida. After the move, the Kerns enjoyed another decade together until L.D. died in 1959 at the age of 69. The magnificent house and property that they left behind was sold in 1955 to the Bob and Maggie Atcher family who enjoyed the property just as much. They lived there until the house regretfully burned to the ground in 1963. The Kern brothers, however, had left their mark on the township through their beautiful houses and farms. They made use of local, skilled labor in farming and building the many homes and buildings on their properties. L.D. and Dorothy Kern’s children attended local schools. The families also socialized with others in the township like the Hammersteins, the Wileys and the Brachs. And, let’s not forget that their horse business utilized all that Arlington Racetrack had to offer. 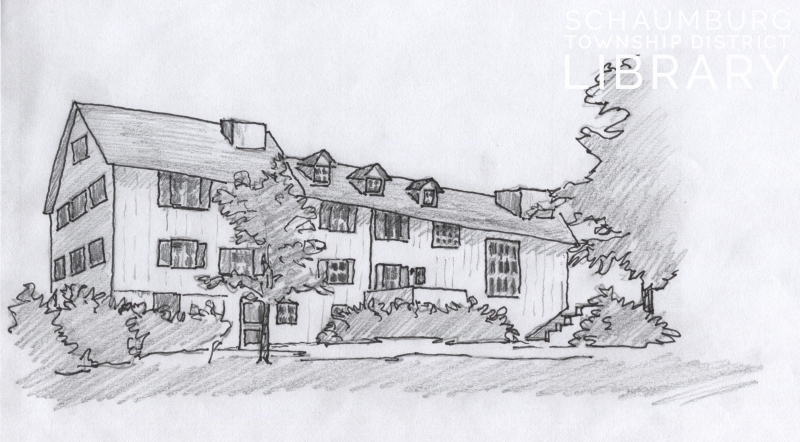 Wouldn’t it be nice, though, if that magnificent barn/house were still here? 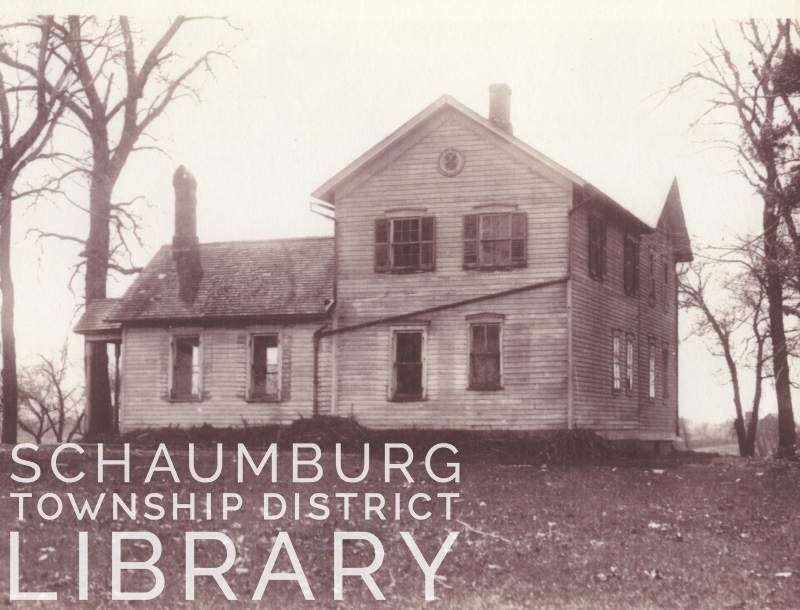 It would be another unique and lovely addition to the historical homes surviving in Schaumburg. 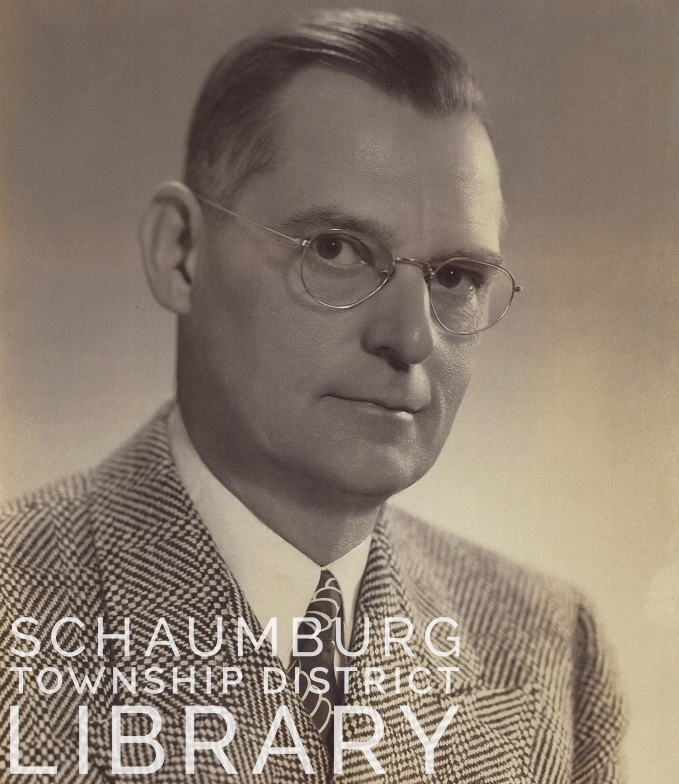 I would like to thank Jerry Kern for being so willing to share his family’s photos with the library and his memories of their time in Schaumburg Township. He was a fountain of knowledge and very eager to make sure all of the details were correct. The blog postings on both of the Kern brothers would not have been nearly as complete without his help! Also, it was L.D. 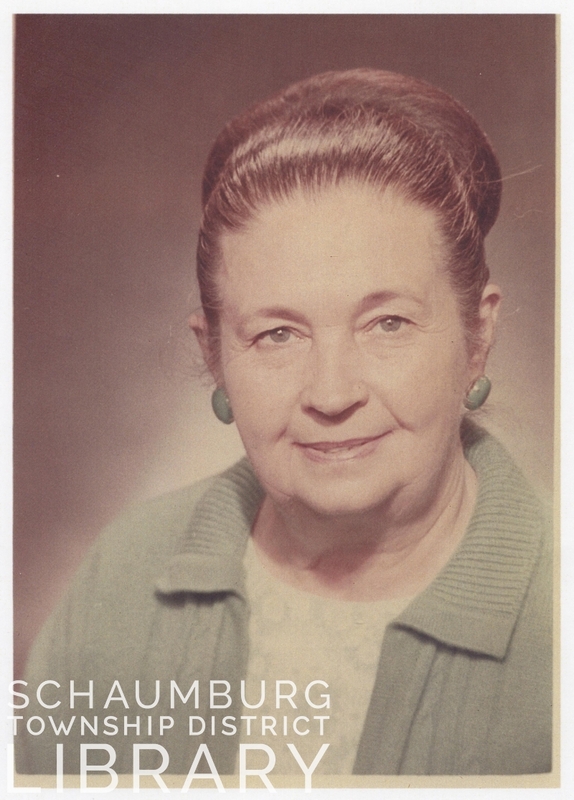 and Dorothy who were fortuitous in bringing Paul Schweikher, the architect, to Schaumburg Township. He, in turn, took note of the lovely surroundings and, either as in kind payment for the work he did or with a minimal purchase, obtained 7 acres south of Salt Creek with his wife, Dorothy, and erected their own home on Meacham Road. You can read about that transaction in next week’s blog posting. The drawing of the Kern house was done with permission from the Chicago History Museum who owns the rights to the original photo. This entry was posted on July 1, 2018 at 7:00 am and is filed under Families, Farms. You can follow any responses to this entry through the RSS 2.0 feed. You can leave a response, or trackback from your own site.